UPDATED: FEB. 16 | 7:45 A.M. The heavens have opened, the choirs are singing and clapping, and the parade of happy black and brown faces is making its way from the cookout to the movie theater. It’s practically the modern-day version of The Wiz’s “Everybody Rejoice” out there. What’s the cause for all of this celebration? Well, after waiting for what’s felt like eons and obsessing over every new teaser, trailer and GIF we could find, the release of Marvel’s Black Panther is finally here. 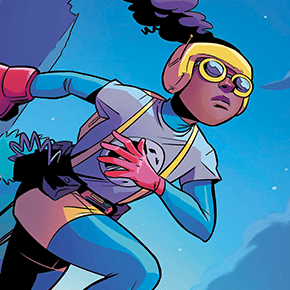 In preparation for what could be the blackest and nerdiest moment in the history of blacks and nerds, we got to thinking in the particular way that nerds do. 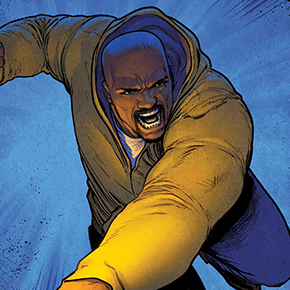 Among the pantheon of black comic book characters, who could beat who in a fight? 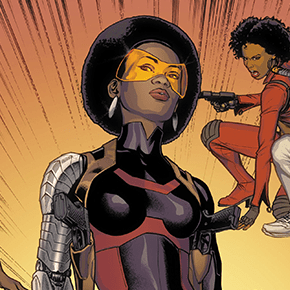 Instead of deciding for ourselves, we’re going to let you, the fans, decide in our Who is the best Black Marvel character? bracket. 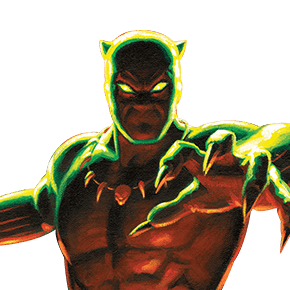 For the sake of staying on theme with Black Panther, all 16 of the bracket’s entrants come from the Marvel Universe and were seeded using a system based on their popularity, fighting abilities and prevalence in both comic books and film/television. The power is yours from now through Thursday. Cast your vote on each round of matchups to help decide the ultimate Marvel bracket winner. 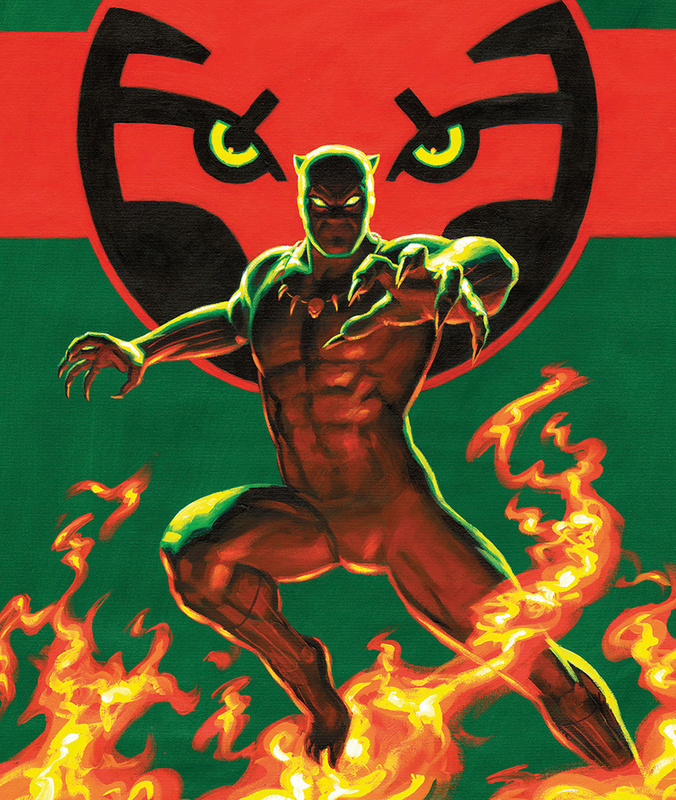 T’Challa, the king of the fictional African nation of Wakanda, is both Marvel’s first black superhero and the first American comic book hero of African descent. Black Panther, who predates the Black Panther Party, battled the Ku Klux Klan in 1975’s The Panther vs. the Klan. 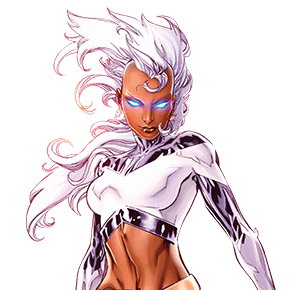 Ororo Munroe, a descendant of African royalty and part-time leader of fabled group the X-Men, evolved from homeless thief to commander of weather and, through her marriage to Black Panther, the queen of Wakanda. Born Carl Lucas in Harlem, New York, Cage was arrested after police found planted heroin in his apartment. While in prison, Cage was the test subject of a botched cell regeneration science experiment that led to him accidentally being given enhanced strength and nearly impenetrable skin. 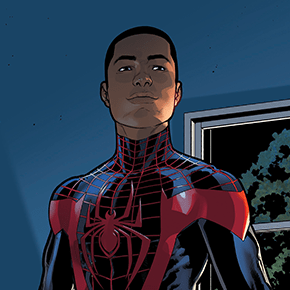 Brooklyn-born Miles Morales, a 13-year-old child of African-American and Puerto Rican descent, assumed the mantle of Spider-Man in 2011 after being bitten by a radioactive spider and after the “death” of the original Spider-Man, Peter Parker. 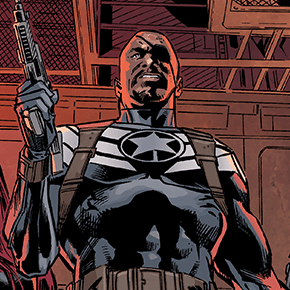 James “Rhodey” Rhodes, a U.S. Marine, is a close friend of Tony Stark’s — otherwise known as Iron Man. 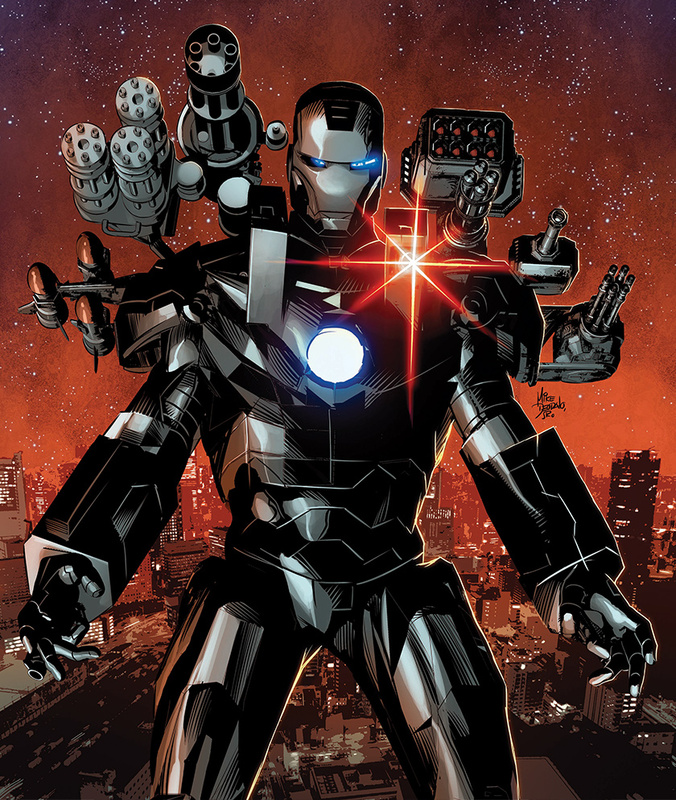 While Stark recovers from alcoholism, Rhodes takes on the Iron Man name before eventually being given a suit of armor of his own, named the War Machine. 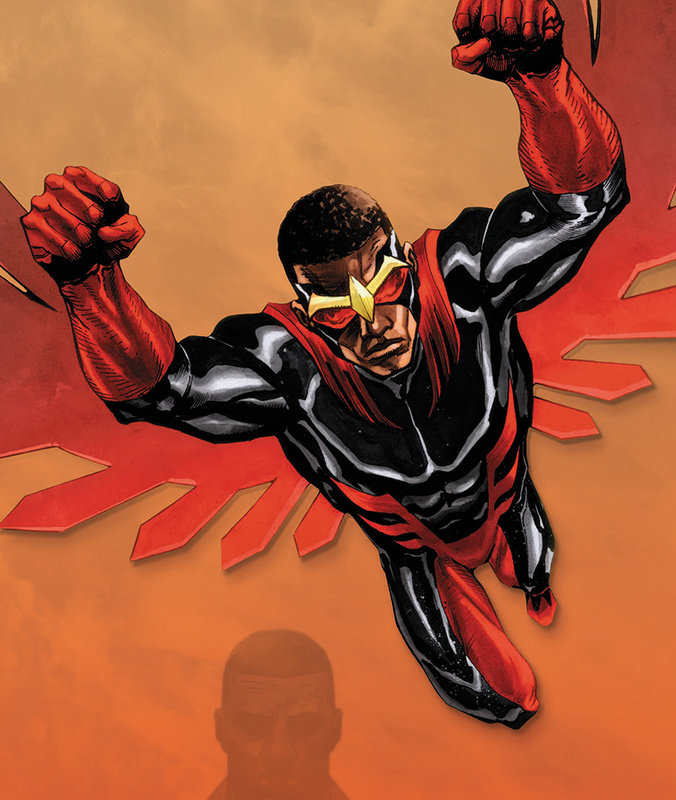 Wilson, better known as the Falcon, regularly fought alongside Steve Rogers/Captain America to combat crime in New York City. 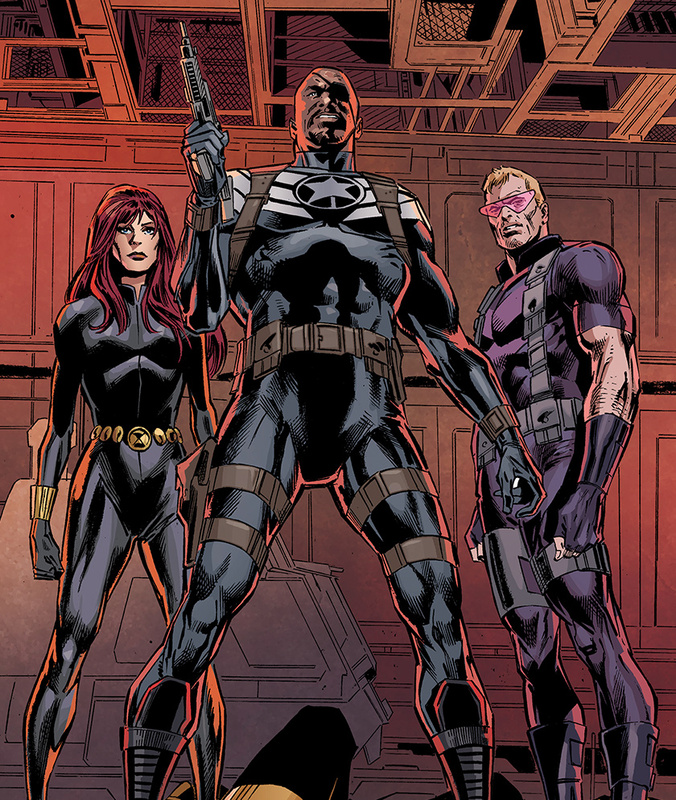 Wilson took over the Captain America role on more than one occasion: once when Rogers was “killed” and the other when Rogers was aged to that of an elderly man. A former New Orleans law enforcement lieutenant, Rambeau took over the Captain Marvel (also a Brie Larson-helmed movie slated for 2019) mantle in 1982’s Amazing Spider-Man Annual #16, becoming the first woman and (only) African-American to use the Captain Marvel moniker. The London-born Eric Brooks is the son of a woman who, during childbirth, was bitten by a vampire, thus passing on the abilities and strengths of vampires with few of the weaknesses. 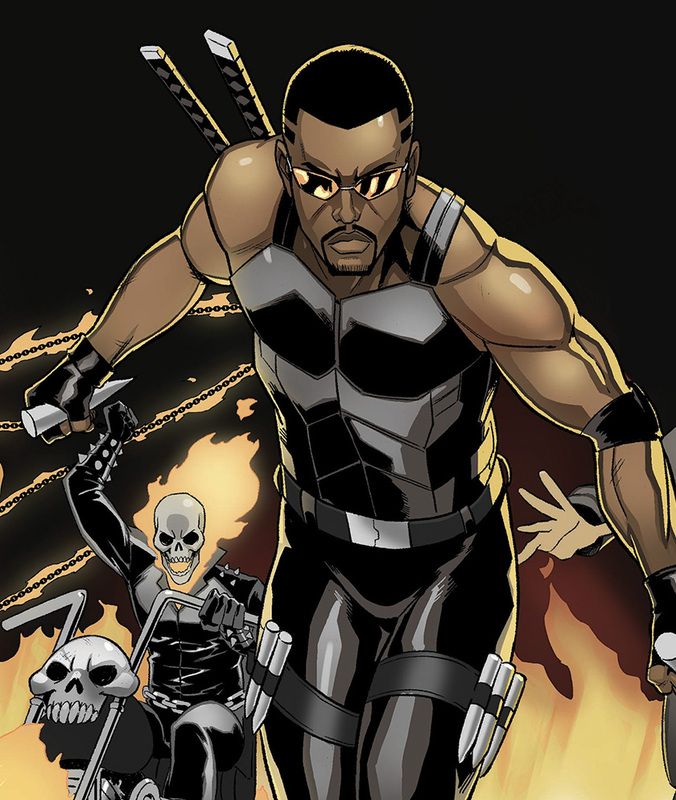 Blade turned to fighting other vampires and the undead after the death of his close friend, musician Jamal Afari. 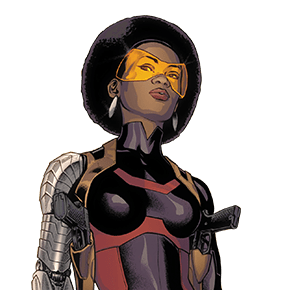 Mercedes “Misty” Knight is a former member of the New York Police Department who, while trying to dispose of a bomb before it detonated, had her right arm amputated after the explosion. Through Tony Stark, Knight was given a new, bionic arm, which she used to fight crime with partner Colleen Wing. Tyrone Johnson, a South Boston native who fled to New York City after the police-involved shooting death of a close friend, was, along with female friend Tandy Bowen, aka Dagger, injected with a synthetic drug, giving him the appearance of a shadowy darkness. 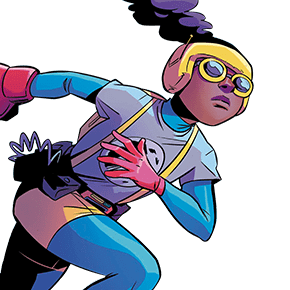 Williams grew up in Chicago, where, at a young age, she was determined to be a supergenius, allowing her to attend the Massachusetts Institute of Technology at just 15 years old. 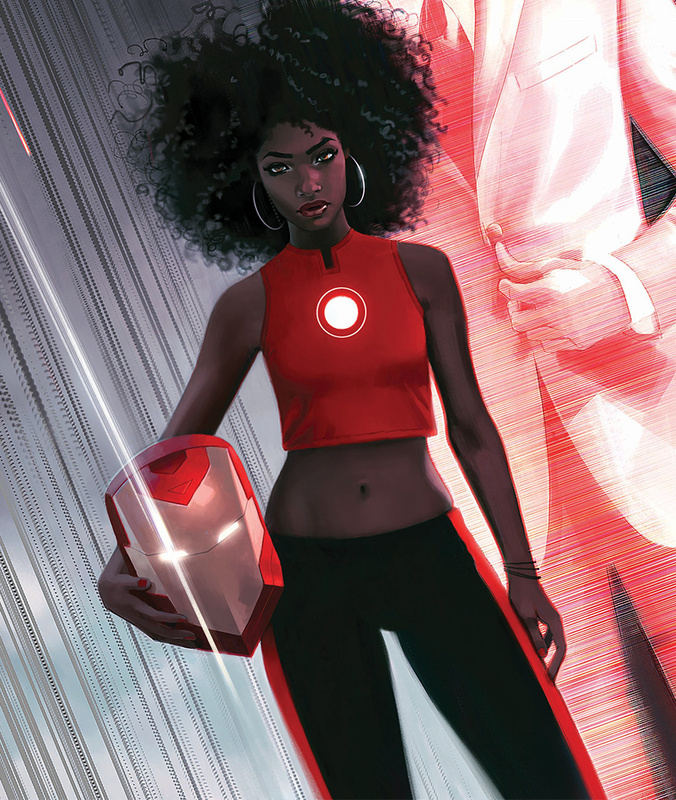 In her spare time, Williams created her own version of Tony Stark’s Iron Man armor using material she could find. 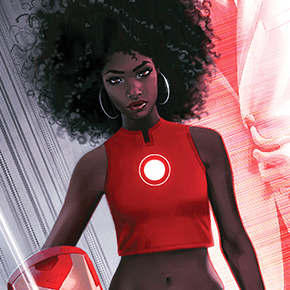 Eventually, Williams took over for Stark, becoming the Ironheart. 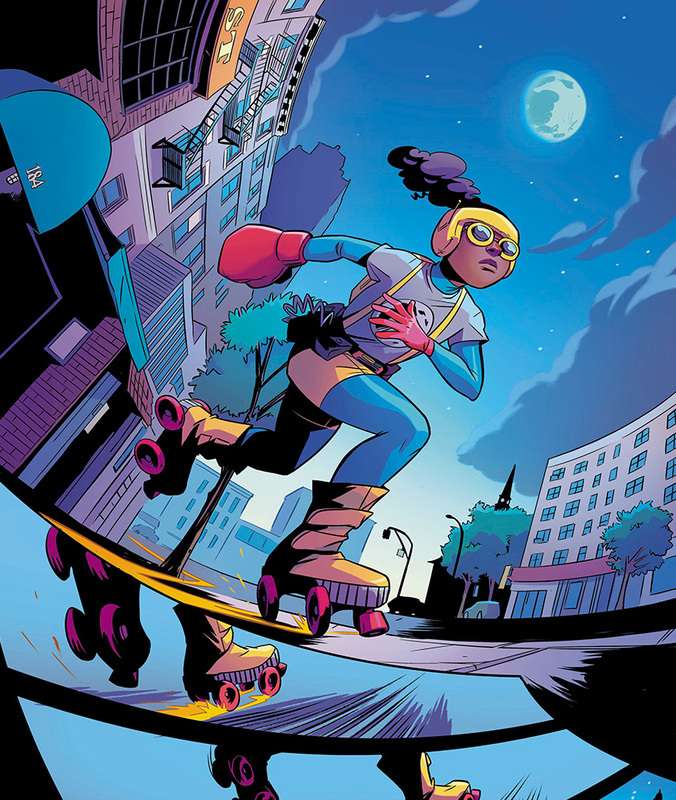 Lunella Lafayette, a 9-year-old elementary school student from Manhattan, is given the disparaging nickname “Moon Girl” by her classmates after a debate with her schoolteacher. Lafayette shares a bond with Tyrannosaurus rex-like mutant Devil Dinosaur. 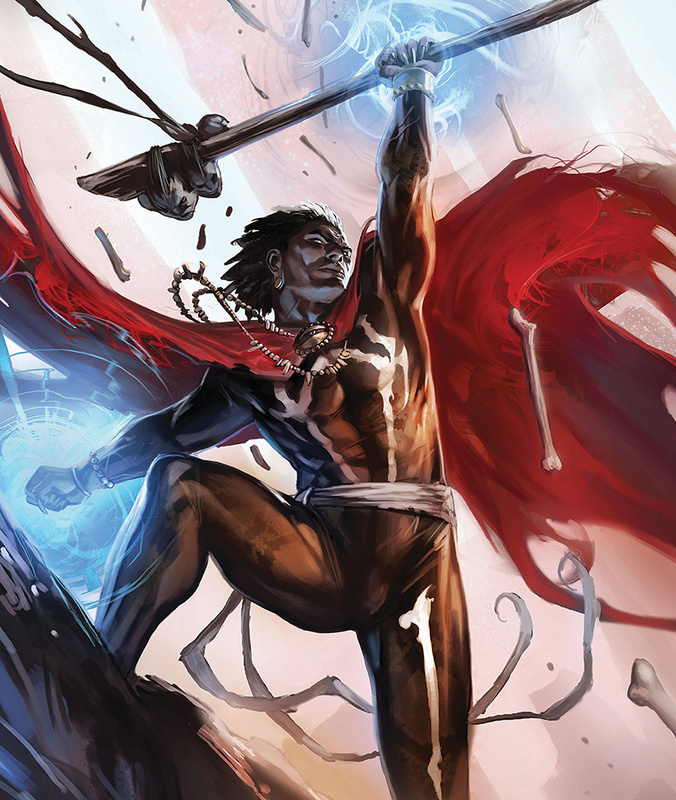 Jericho Drumm, a Haitian who eventually immigrated to the United States, gained the powers of Doctor Voodoo, a powerful 17th-century lord, after the death of his brother, Daniel. 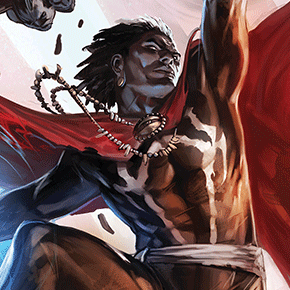 A voodoo teacher fused the spirits of Jericho and Daniel, leading Doctor Voodoo to use his powers to help others, including Spider-Man and Black Panther. 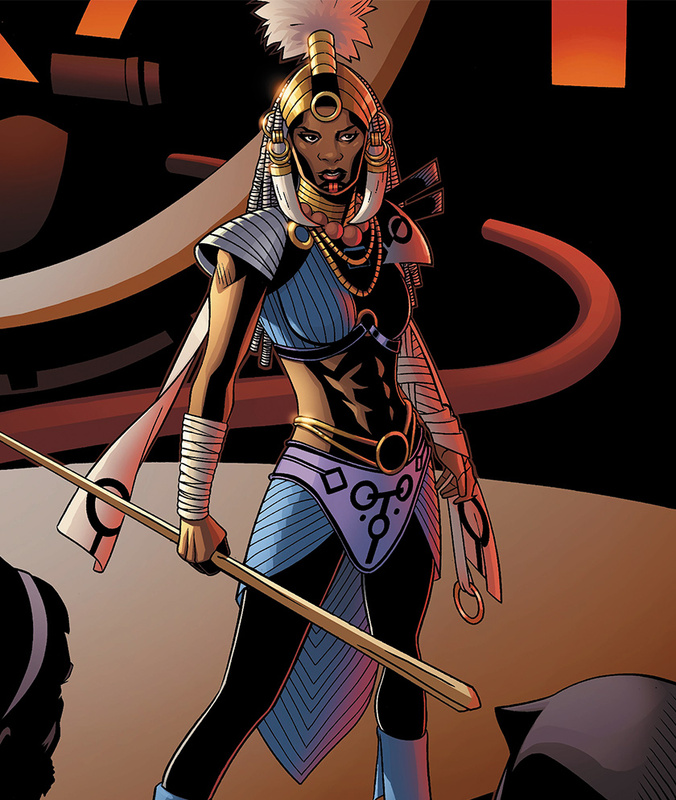 The younger sister of T’Challa, Shuri is the heiress to the Wakandan throne. During 2009’s Black Panther Vol. 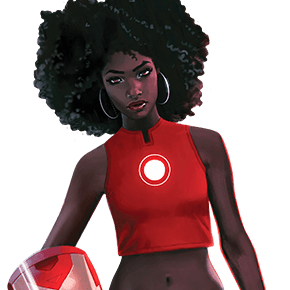 5, a trained fighter like her older brother, took over as the Black Panther while T’Challa recovered from critical injuries suffered in a plane crash. Lucas Bishop was born in Brooklyn, New York, in a “alternate future timeline” where virtually all of the X-Men have been destroyed. 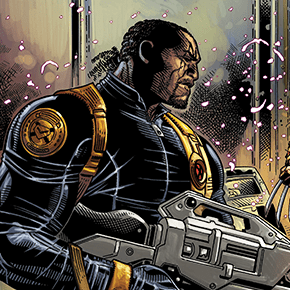 Along with his sister, Shard, Bishop joins a ragtag group of mutants named the Xavier Security Enforcers (X.S.E), who work to create harmony between mutants and humans. 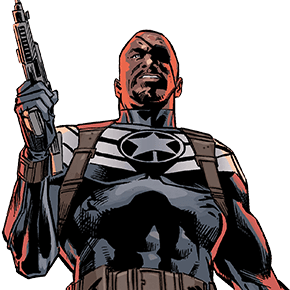 The original character of Nicholas Joseph Fury was a white World War II hero and leader of superhero intelligence agency S.H.I.E.L.D., but comic book duo Mark Millar and Bryan Hitch turned him into a Samuel L. Jackson lookalike in 2002’s The Ultimates’ limited run. What’s a mob to a king? More like what’s a king to a goddess? From the very beginning, there was a common theory that T’Challa and Storm were two of the strongest pieces on the board. Honestly, the same would go for any board they ever appear on. This strength is part of what made their union so awe-inspiring, and it’s not too surprising that they met in the finals. But what may surprise you is that T’Challa, the overall favorite going into the bracket (his movie was released on Thursday, after all), was no match for his former wife, Storm. Both of these characters won their early round matchups in landslides, so this was their first true test in competition. As a result, Storm walked away with a victory by a mere one percentage point. 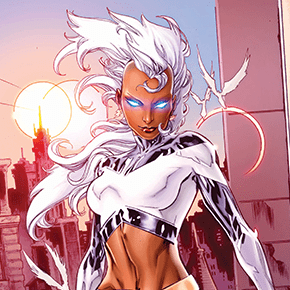 With that being the case, it’s now fact: Storm is Marvel’s strongest, most popular Marvel character. 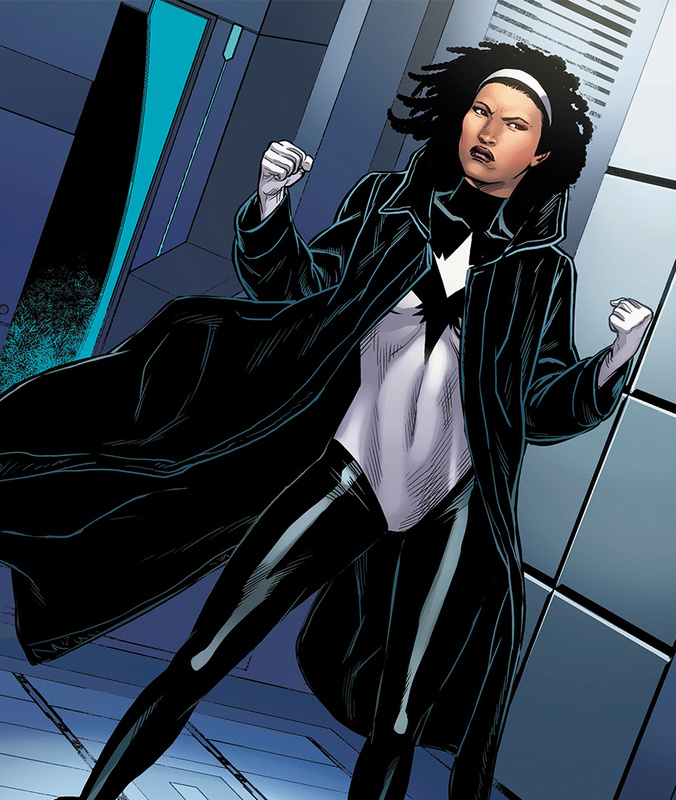 Now let’s see if we can get her represented right in a movie for once. Recap T’Challa, the king of Wakanda and current carrier of the title of Black Panther, faced off against Storm, weather goddess and prominent member of the X-Men. 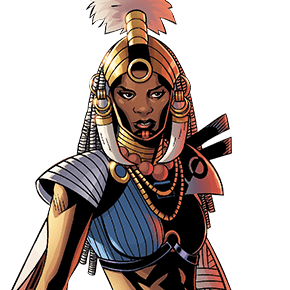 Oh, and she’s also the former queen of Wakanda, as the two were once married and stood as the dopest black power couple ever. The two have a constantly on-again, off-again relationship as things currently stand, and fighting each other may have brought up some unresolved feelings following their messy split. These two had been on a collision course ever since this tournament started. So the moment they actually met was well worth the anticipation. Who knows? Maybe being forced to face each other like this will help everyone’s favorite pair get back together. One can only hope. Recap In this final four matchup, Black Panther, aka T’Challa, took on War Machine. One has a suit made out of one of the strongest metals known to humanity. The other has a suit with so much firepower that it makes a Fourth of July fireworks display look like a campfire. Both have years of experience on the battlefield, both in one-on-one combat as well as leading others into the fray. One is a king and the other was subtly offered the opportunity to run for president of the United States. But, at the end of the day, one has been trained almost from birth to overcome any obstacle, and T’Challa proved victorious. Recap It came down to the wire, as two fan favorites came to blows this round. 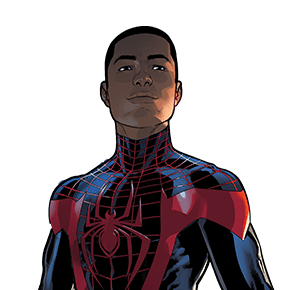 Storm, who’s always been a beacon of excellence in the realm of black superheroes, took on Miles Morales, who’s become a touchstone to a new generation of comic book fans. If any one hero on this list has the reflexes to avoid lightning strikes and the strength and powers to not be thrown around by hurricane-speed winds, it’s Morales — Spider-Man. Unfortunately, even he couldn’t do so. Recap After delivering the first round’s only upset, Cloak appeared to be the lone Cinderella story of this year’s bracket. Unfortunately for him, the clock struck midnight, and his next opponent was none other than the Black Panther. 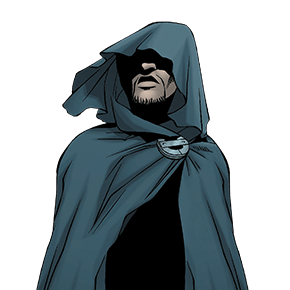 Cloak has the convenient ability to wield the powers of darkness, but if T’Challa’s code name and supersuit aren’t hints, he doesn’t really have much of a problem operating in the dark. 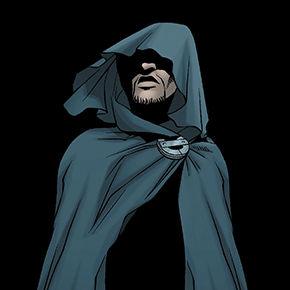 As a result, T’Challa walked away victorious to continue his winning streak thus far. Recap This matchup was all about firepower and brute strength. 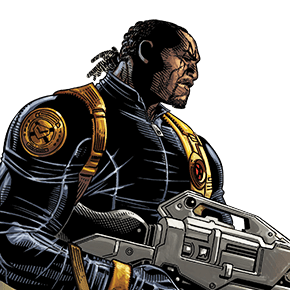 James “Rhodey” Rhodes was able to go all out on the nearly indestructible Luke “Power Man” Cage in a suit that’s sturdier and packs more firepower than most tanks. Is Cage bulletproof? Yeah. But he’s not necessarily missile-proof and couldn’t fly to chase down or avoid War Machine, so he eventually caught the loss in what’s been our closest matchup to date. 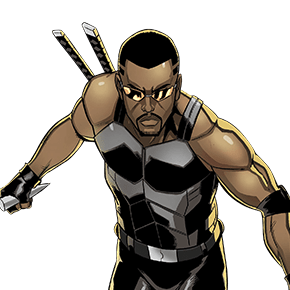 Recap OK … let’s be honest: Blade is a major tough guy and a martial arts master who can probably take on any number of opponents in hand-to-hand combat. But Storm can fly and shoot lightning bolts, while simultaneously lifting him into the air with a tornado she created with the flick of her wrist. I think you can figure out what happened here. Recap This matchup came down to the eternal debate of potential vs. experience. 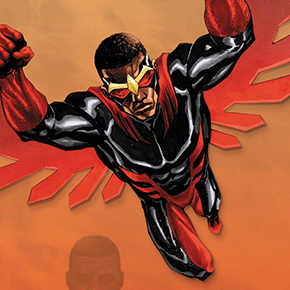 Sam Wilson has been on the world’s largest stage as both Falcon and Captain America countless times and even led the Avengers. On the other hand, Morales is essentially a superhero prodigy who may even be capable of more than Peter Parker was at his age. It looks like Wilson may have had a little too much rust on his wings, or maybe he just took the kid too lightly, as the Spider-Kid handed him a solid loss. 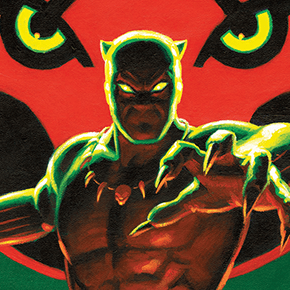 Recap The favorite going into this first round matchup was clearly T’Challa, king of Wakanda and the hero known far and wide as the Black Panther. Because of his prestigious titles, he has access to more resources than anyone can properly measure as ruler of the wealthiest and most technologically advanced nation in the world. 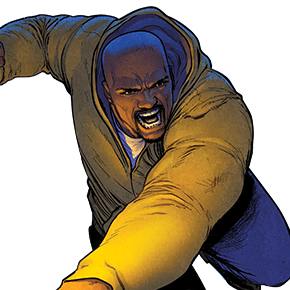 He just so happens to also have superhuman strength, speed and agility, which proved to be far more than Nick Fury could handle despite being the commander of an army all his own as the director of S.H.I.E.L.D. 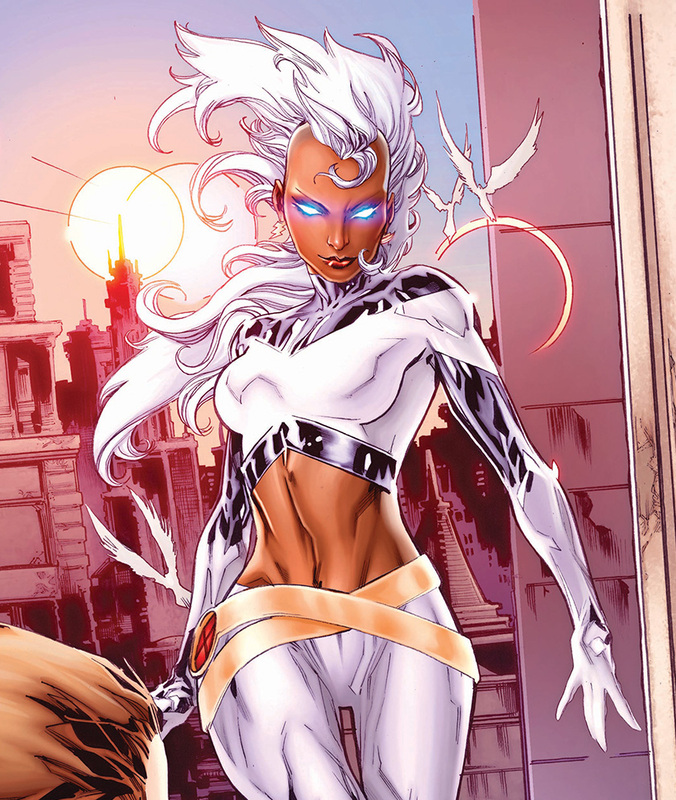 Recap Storm, aka Ororo Munroe, is considered by many to be a goddess. 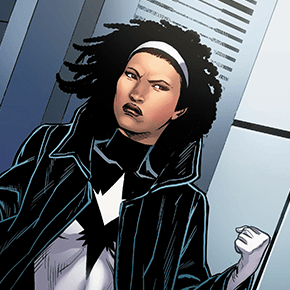 The child of an African priestess and an American journalist, Storm inherited an ability to control the weather, including the ability to wield lightning, bring down heavy rains and whip up winds to hurricane-level speeds. With the use of her own ingenuity and understanding of weather patterns, Storm easily overwhelmed her former protege, Bishop. Having the advantage of being from the future just wasn’t enough to make this one competitive. 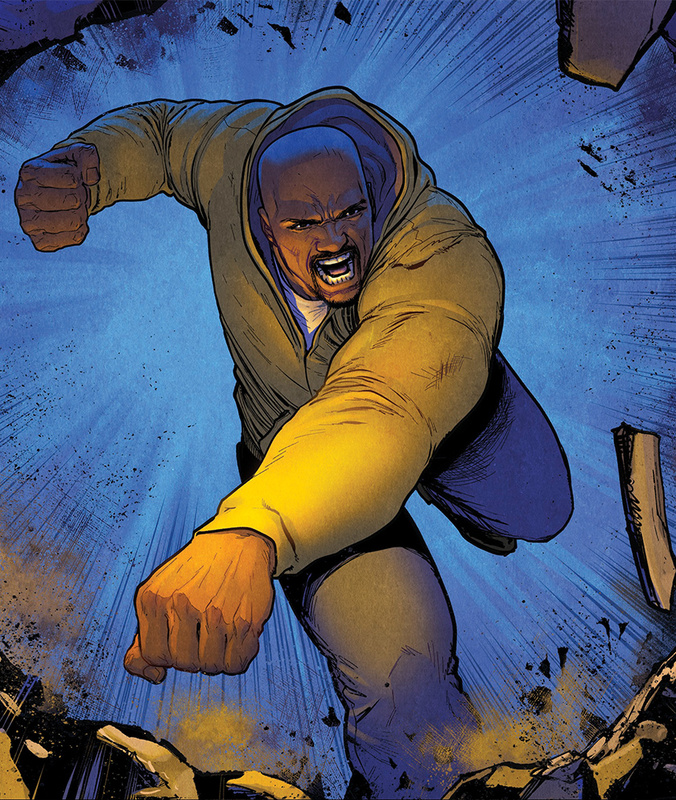 Recap Luke Cage gives pretty much anyone a tough time in a fight because he’s basically a walking, talking tank. 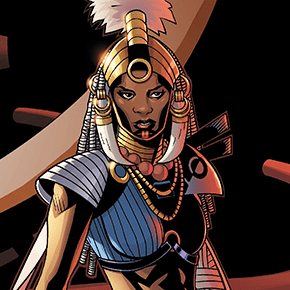 The first round of this tournament made sure Shuri learned that lesson for herself, as her genius-level intellect and new powers weren’t enough to bring him down. Recap Doctor Voodoo, formerly known as Brother Voodoo, almost had what it took to give Miles Morales a run for his money in the first round. 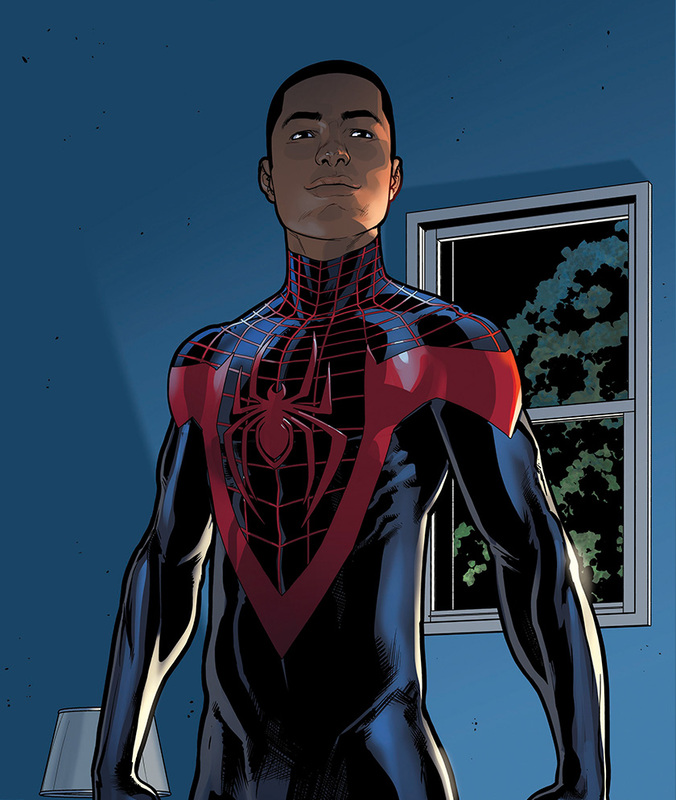 But as the new and improved Spider-Man, Morales comes with the usual spider powers and a venom blast that can shock and paralyze opponents and the ability to camouflage himself into invisibility. 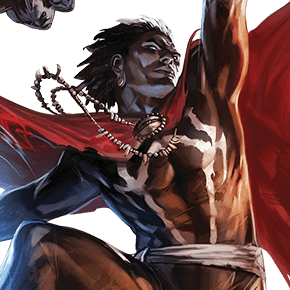 Unfortunately, Doctor Voodoo tried but failed to equalize most of Morales’ abilities with his manipulation of spirits and even that cool (and creepy) possession ability of his. 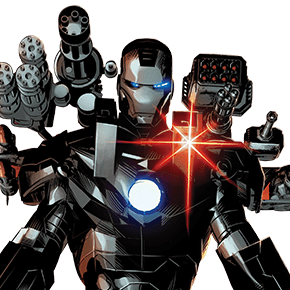 Recap War Machine got a lot of flak for basically being Tony Stark’s sidekick who only got his start with Iron Man’s glorified hand-me-downs. This isn’t untrue, but it’s not completely fair to forget that these “hand-me-downs” are composed of some of the most advanced and capable weapons on the planet created by one of the world’s most genius geniuses. 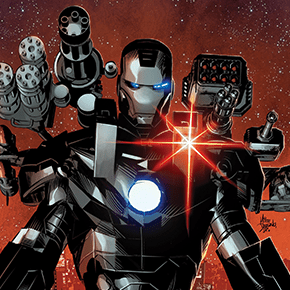 In other words, James “Rhodey” Rhodes is a walking arsenal with enough artillery to take out a medium-sized army on his own. He apparently was willing to use all that firepower against a preteen, Lunella Lafayette, and her partner, Devil Dinosaur. 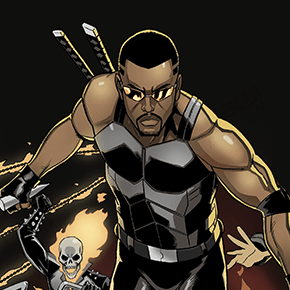 Recap Sam Wilson is a seasoned veteran in the ways of superheroes and even spent a couple of years serving as the Captain America while Steve Rogers was out of commission. 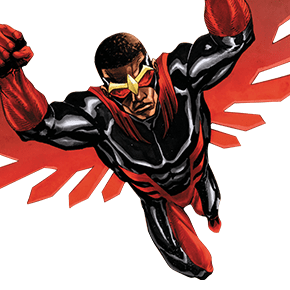 This battle, which likely took place in the sky, as both have no problem with flight, proved costly for Riri Williams, aka Ironheart, given Wilson’s ability to mentally connect with birds. 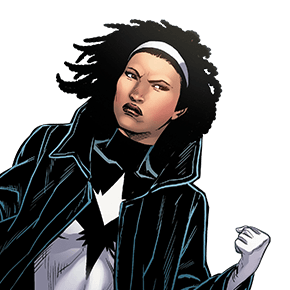 Recap Part of Monica Rambeau’s abilities are a result of her connections to an alternate universe, which worked in the favor of her opponent, Cloak, who also gets his powers from a similar circumstance. 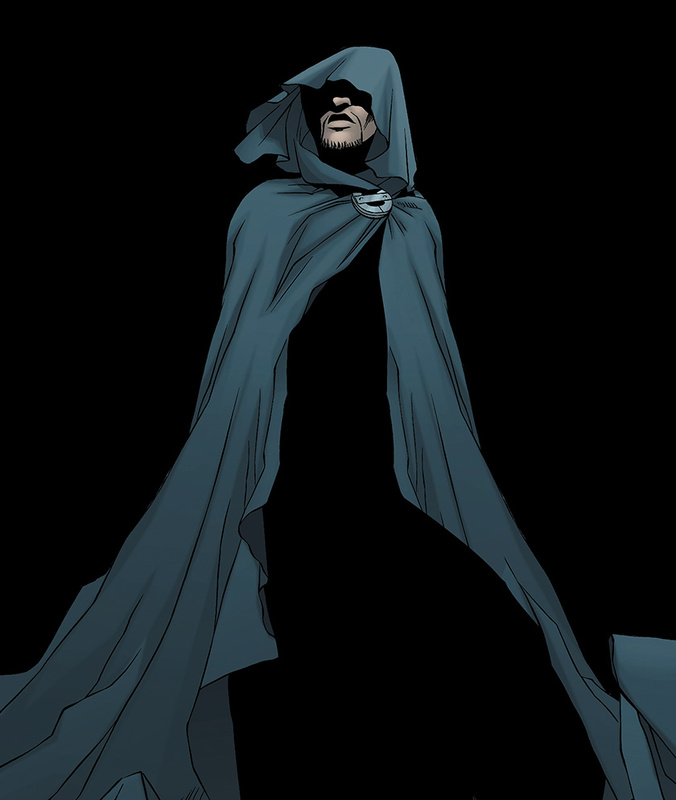 Because of his connection to the Dark Dimension, Cloak can teleport, make himself intangible and completely flood his environment with darkness. This matchup didn’t end in a stalemate we had predicted, with Cloak pulling off the sole upset of the entire first round. 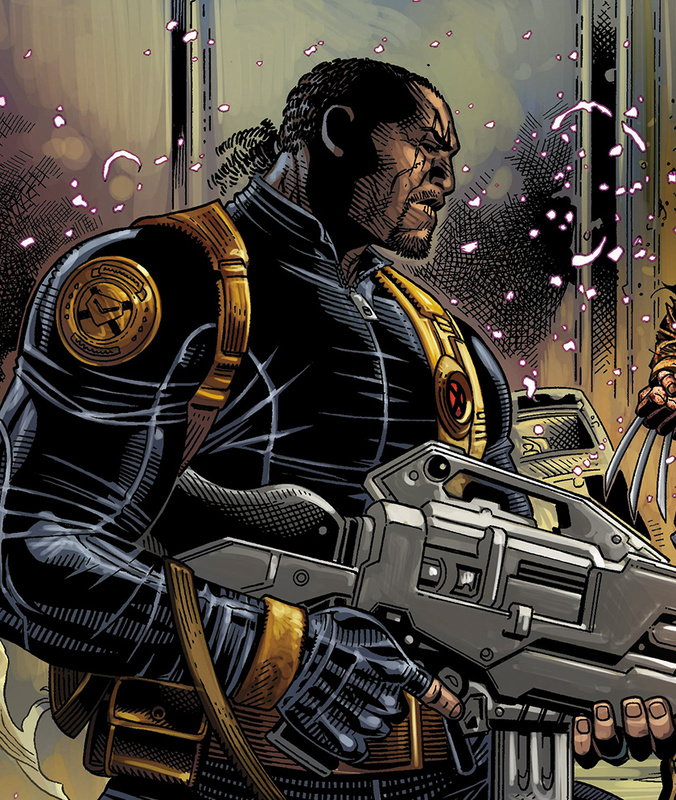 Recap Comic book fans are more than likely familiar with Blade’s combat work (in other words, his tendency to hit professional wrestling moves and bring on Mortal Kombat fatalities with ease), and that proved too much against Misty Knight’s hand-to-hand combat and use of weaponry. 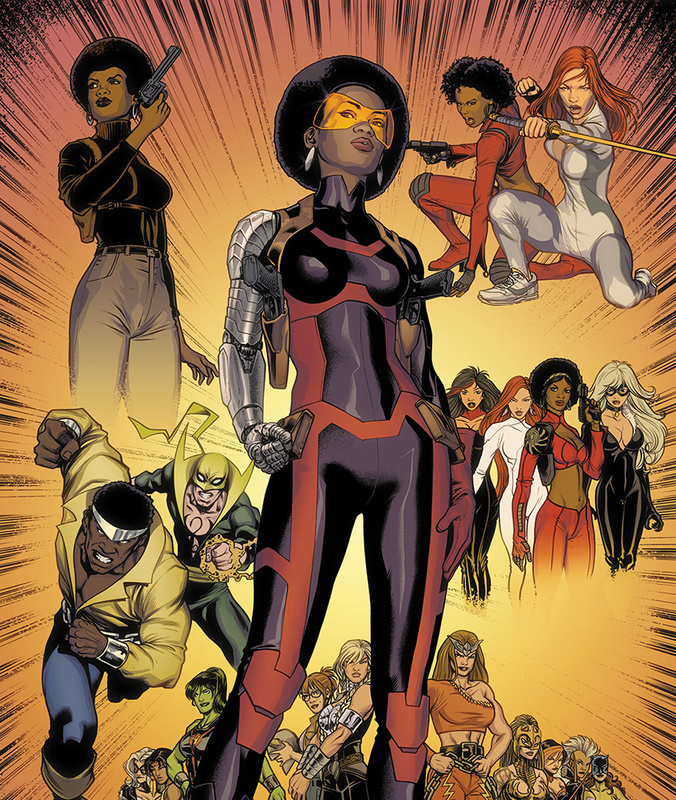 Worldofblackheroes.com, marvel.com and FANDOM’s Marvel Database were the primary sources for this article.